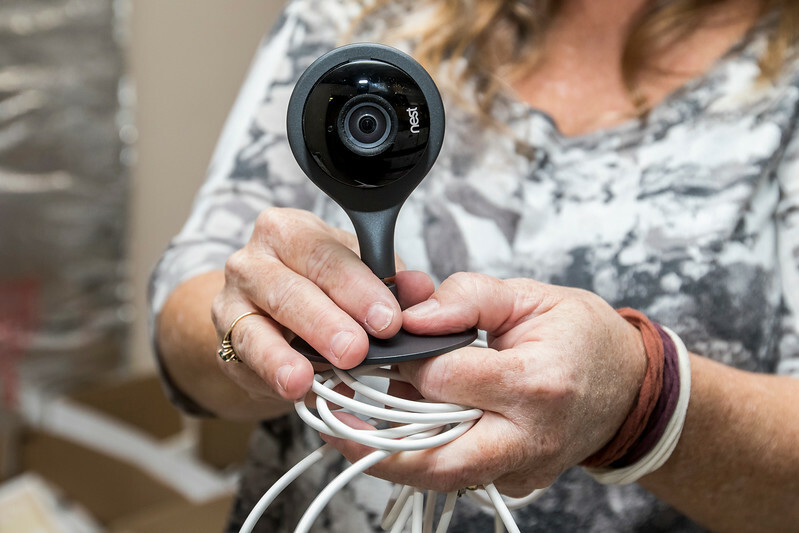 Sarah Nader - snader@shawmedia.com Algonquin Township Clerk Karen Lukasik holds the hidden camera she found on Aug. 25 tucked in the rafters in the Algonquin Township's overflow records room Wednesday, Oct. 25, 2017. 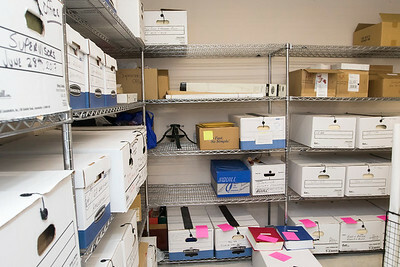 Sarah Nader - snader@shawmedia.com A view of the new lock that Algonquin Township Clerk Karen Lukasik put in at the Algonquin Township's overflow records room after finding a hidden camera tucked in the rafters in the room on Aug. 25. 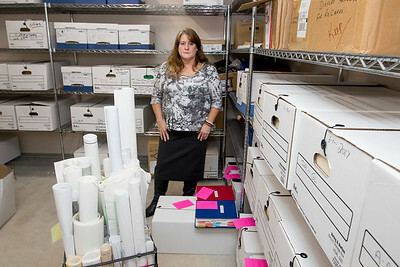 Sarah Nader - snader@shawmedia.com Algonquin Township Clerk Karen Lukasik points out files in the Algonquin Township's overflow records room Wednesday, Oct. 25, 2017. Lukasik found a hidden camera tucked in the rafters in the room on Aug. 25. She has since changed the locks in the room and has set up a camera. 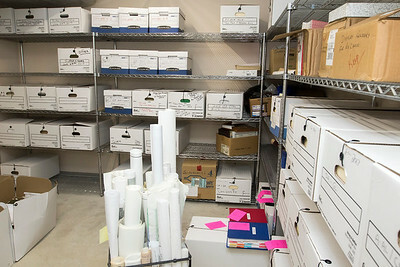 Sarah Nader - snader@shawmedia.com A view of the Algonquin Township's overflow records room Wednesday, Oct. 25, 2017. Algonquin Township Clerk Karen Lukasik found a hidden camera on Aug. 25 tucked in the rafters in the room. 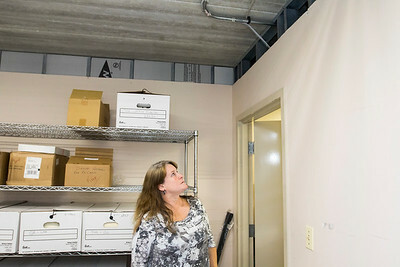 Sarah Nader - snader@shawmedia.com Algonquin Township Clerk Karen Lukasik looks where she spotted the hidden camera on Aug. 25 tucked in the rafters in the Algonquin Township's overflow records room Wednesday, Oct. 25, 2017. Sarah Nader - snader@shawmedia.com Algonquin Township Clerk Karen Lukasik poses for a portrait in the Algonquin Township's overflow records room Wednesday, Oct. 25, 2017. Lukasik found a hidden camera tucked in the rafters in the room on Aug. 25. She has since changed the locks in the room and has set up a camera. 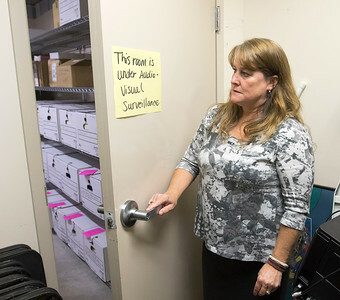 Sarah Nader - snader@shawmedia.com Algonquin Township Clerk Karen Lukasik opens the door to the Algonquin Township's overflow records room Wednesday, Oct. 25, 2017. Lukasik found a hidden camera tucked in the rafters in the room on Aug. 25. 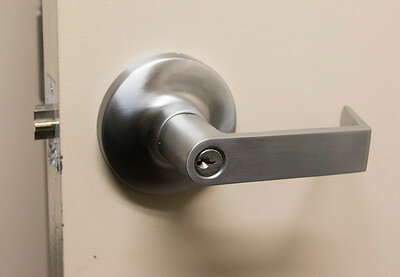 She has since changed the locks, put up the sign on the door and has set up a camera in the room. 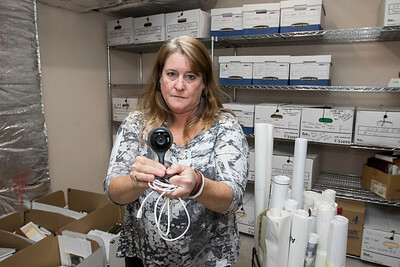 Algonquin Township Clerk Karen Lukasik holds the hidden camera she found on Aug. 25 tucked in the rafters in the Algonquin Township's overflow records room Wednesday, Oct. 25, 2017.